If you’re into extreme sports like Tough Mudder, these may be the shoes for you. Merrell and Tough Mudder teamed up in 2016 and this resulting vegan-friendly special edition shoe is perfect for a mud obstacle race. It provides optimal agility from start to finish yet is easily washable for your next adventure. Its multi-directional lugs help shed mud and provide 360-degree traction and the tread offers drainage and protection from debris while the Unifly™ midsole offers cushioning and stability. Save 15-percent on any U.S.-based 2017 Tough Mudder event using the code: ToughMudderGiftUS2016. 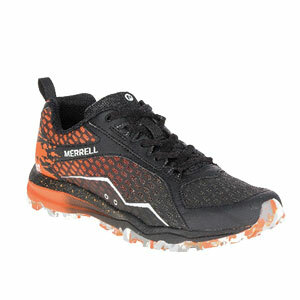 Both men’s and women’s Tough Mudder shoes come in two colors and cost $100. 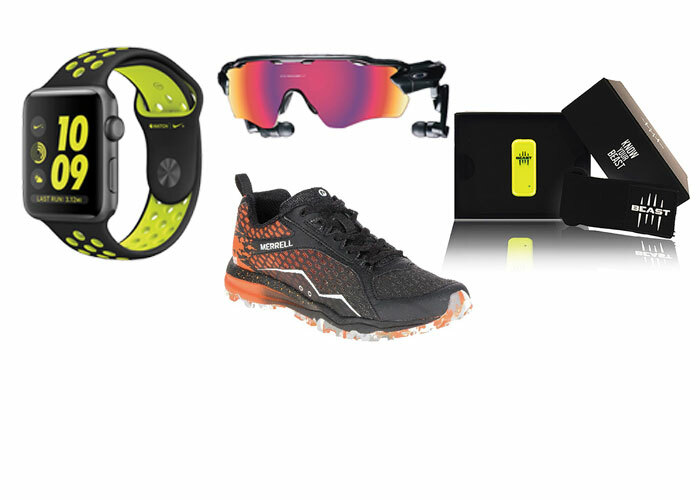 Yet another partnership, this time between Oakley and Intel has produced Radar Pace™, a real-time voice-activated coaching system for runners and cyclists that creates a unique training program that tracks your performance and coaches you in the moment. 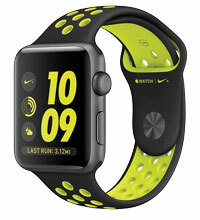 It collects and analyzes your personal performance data, including heart rate, power output, speed, cadence, distance and time. It even automatically adjusts to make up for missed workouts, keeping you on track toward your workout goals. A touch pad on the temples offers control functions with simple taps and swipes for volume, music control, calls from your paired phone and more; the microphone array is enabled for voice commands. Water resistant up to IPX5, it has interchangeable lenses to optimize performance in any environment; Prizm Road lens to optimize and sharpen visual acuity; impact protection and rechargeable via a USB port. $449. The Beast provides real-time data on the quality of your workout that you can watch on your smartphone screen. It measures the power, speed and force you’re using during your weight-lifting sessions, making it perfect for gym-rats and those working on the perfect six-pack abs. All data is collected in the Beast Webportal, the first performance-based training diary for weightlifting. It delivers a set of relevant information based on sports science that is key in helping you reach your training goals faster. Easy-to-understand metrics help you adjust workouts to your goals and adapt training loads on your daily conditions, thus preventing injuries and overtraining. 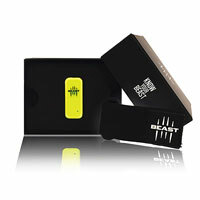 The Beast Athlete package comes with a Beast sensor, the wristband, a user’s manual and a micro-USB charging cable. $249.